In this post, we are announcing new updates to the Power Query add-in for Excel 2010 and Excel 2013. 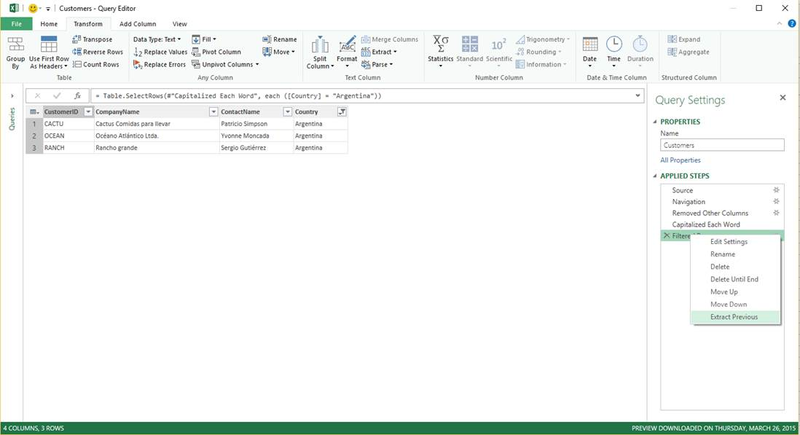 Read this blog for information about Power Query integration in Excel 2016. You can continue reading below for more details about each feature. 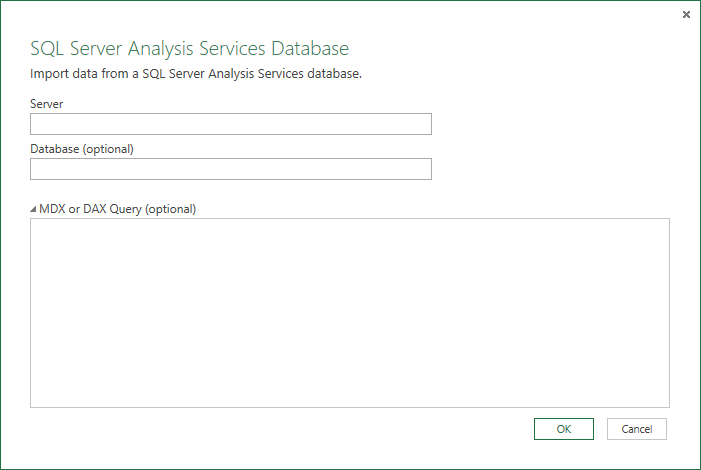 In this update, we have added the ability to provide a custom query in MDX or DAX when importing data from Analysis Services. This allows users to leverage their existing MDX or DAX queries from other tools, instead of having to build them from scratch in Power Query. Resizable Navigator dialog—Users can now resize the Navigator dialog, so that they can easily preview tables with lots of columns. Multi-select items in Navigator—Users can now use keyboard shortcuts to select multiple items more easily in the Navigator dialog, such as Ctrl+Click or Shift+Click. 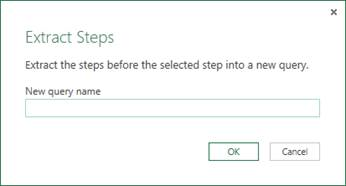 Extract previous Query steps—Another improvement to the Query Editor is the ability to extract steps from a query. Users can now easily extract steps from a query into a “base” query. This is useful when you want to have multiple queries that have a common base set of steps. When clicked, users are asked to provide a name for the new “base” query. The result is a new query containing all steps prior to the one that was selected, with the original query containing a reference to the newly created one. Users can then create new queries that reference the “base” query. 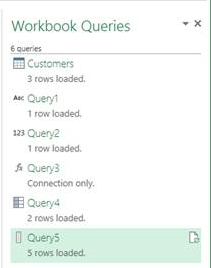 Query icons to reflect type of query—The last improvement this month is that the Workbook Queries pane and the Queries navigator, in the left side of the Query Editor dialog, have been improved to capture the type of each query. This is represented with different icons for each query in these two panes. That’s all for this month. We’re making lots of incremental improvements to Power Query, and we hope that you find it better with every new monthly update. Please continue sending us feedback using our “Send a Smile/Frown” feature or by voting for what you’d like to see next. 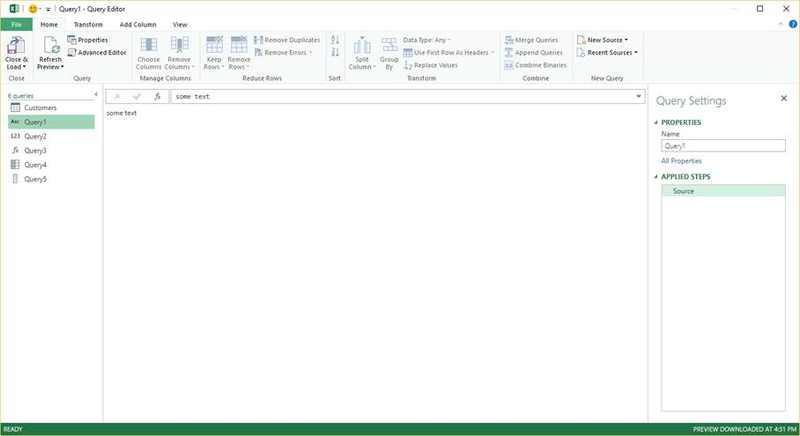 Power Query for Excel is available with an Office 365 ProPlus subscription, Office 2010 Professional Plus with Software Assurance, Office 2013 Professional Plus or Excel 2013 Standalone. 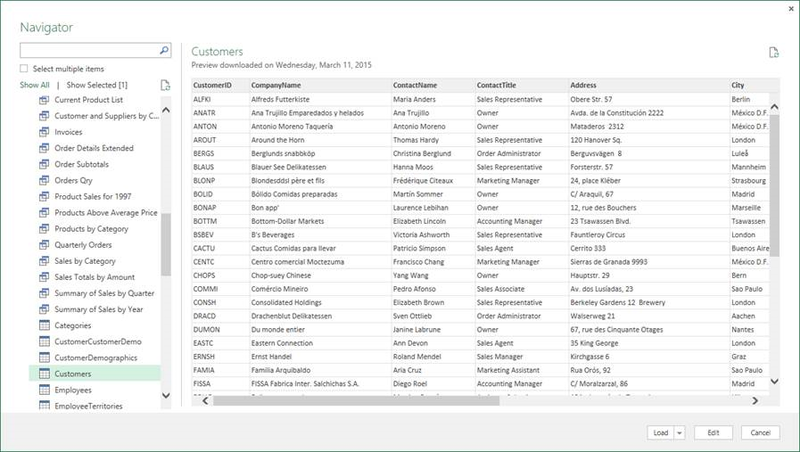 Power Query for Excel is also available in all other Excel 2013 Desktop SKUs with reduced functionality. Check out the System Requirements section on this page for more details. 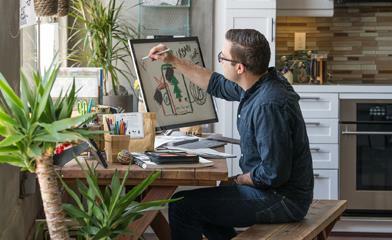 Download the add-in and learn more about getting started. Learn about all the powerful analytics and visualization features in Excel and take your analysis further by sharing and collaborating on business insights with colleagues using Power BI.